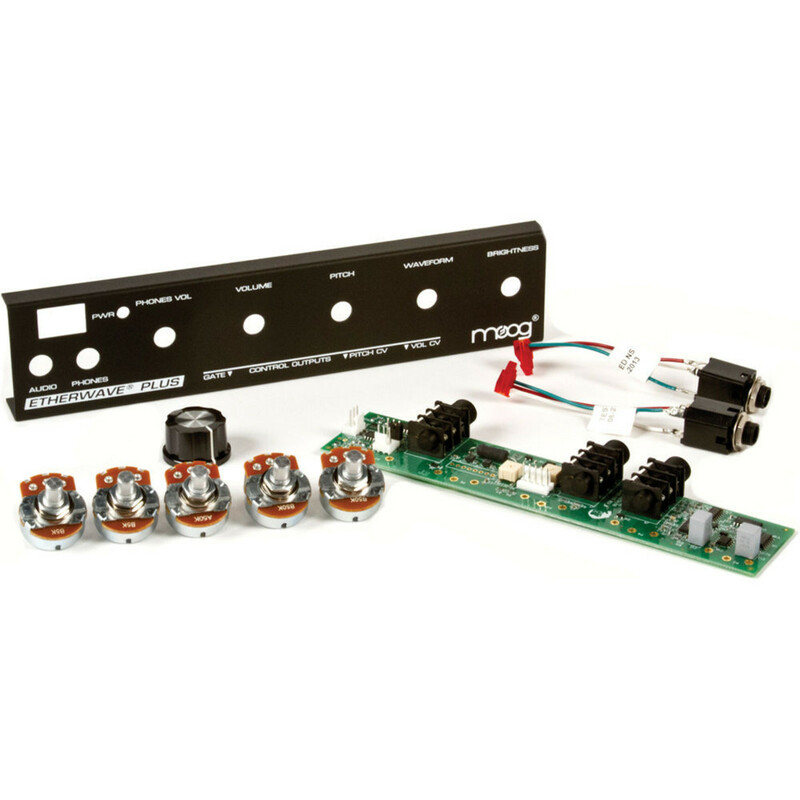 The Moog Etherwave Plus Field Upgrade Kit provides the Etherwave Plus printed circuit board, a new front panel, headphone volume pot, headphone volume knob, headphone jack, on/off switch, LED indicator, and a template for drilling the bottom of your Etherwave Standard. Instructions for installing the components and soldering board will be included. 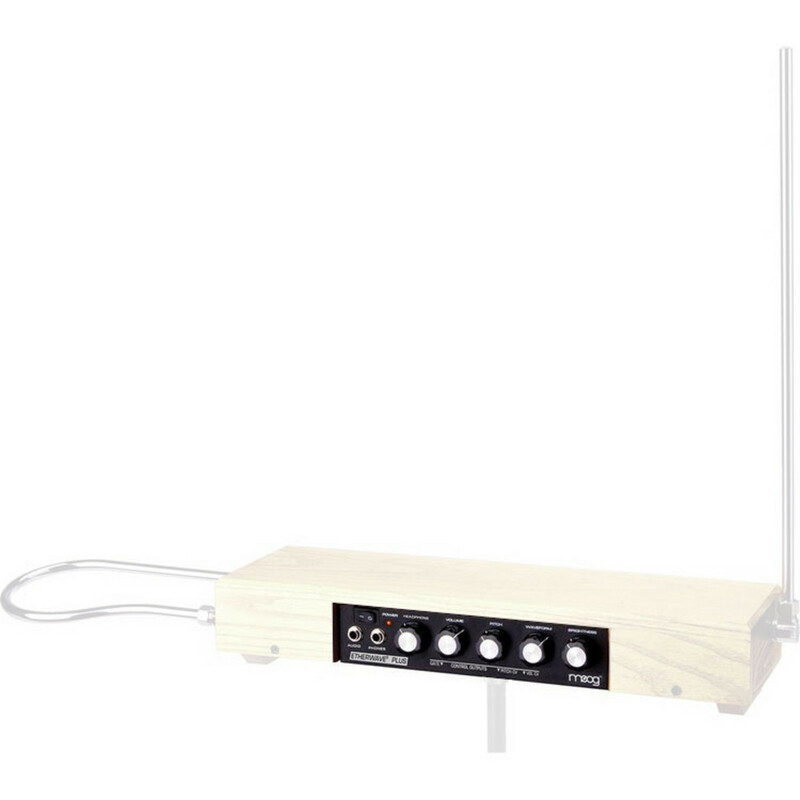 The Theremin allows you to play by just moving your hands by the antennas to control the pitch and volume and is one of the oldest electronic instruments. Like the Ethervox, the Etherwave is a modification of inventor Leon Theremin's original design. The Field Upgrade kit provides the Etherwave Plus printed circuit board, a new front panel, headphone volume pot, headphone volume knob, headphone jack, on/off switch, LED indicator, and a template for drilling the bottom of your Etherwave Standard. Instructions for installing the components and soldering board will be included. Note: Please check the Field Upgrade Manual before ordering to ensure that you are able to perform all of the steps necessary.